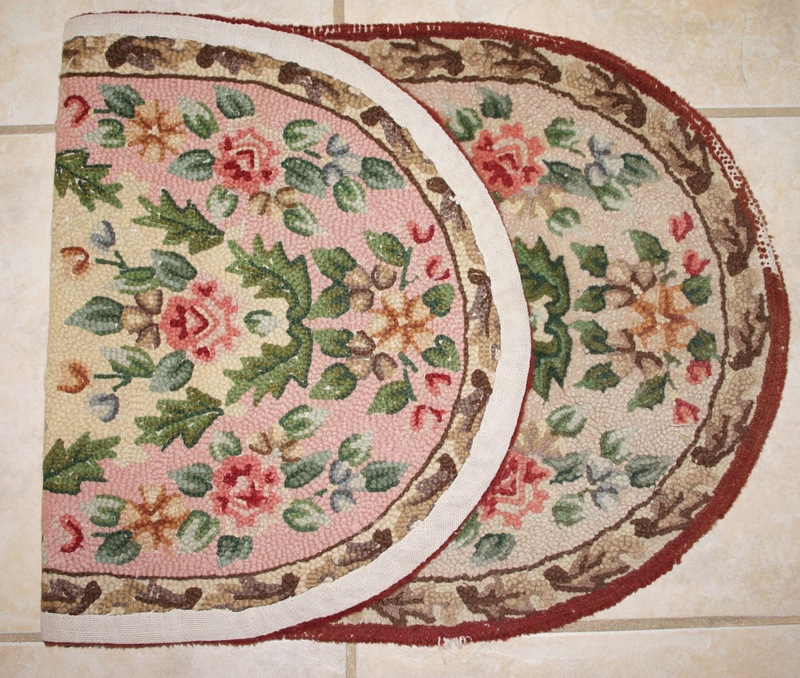 Floor coverings in the 1800’s ranged from very expensive woven wool carpets to cheaper in-grain woven carpets to straw and rush mattings. 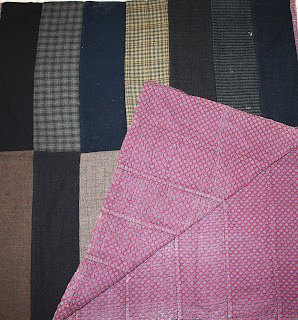 The straw mattings were popular until nearly the 20th C as they were used to protect more expensive carpeting from wear. 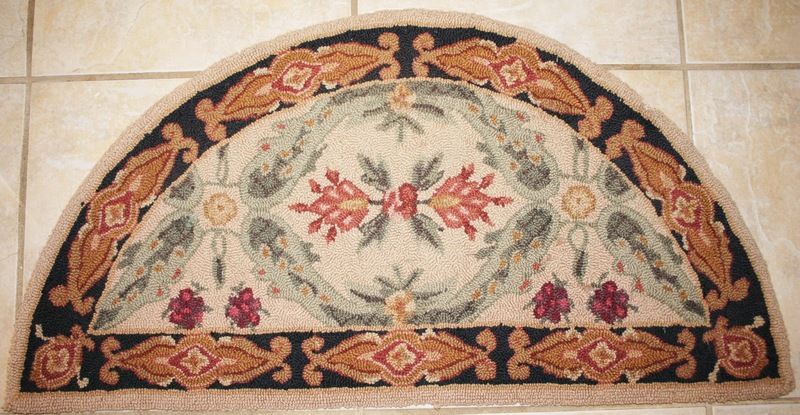 They could easily be removed, cleaned and replaced near doorways and fireplaces which received the most dirt. Unfortunately, the straw mattings were not very durable. 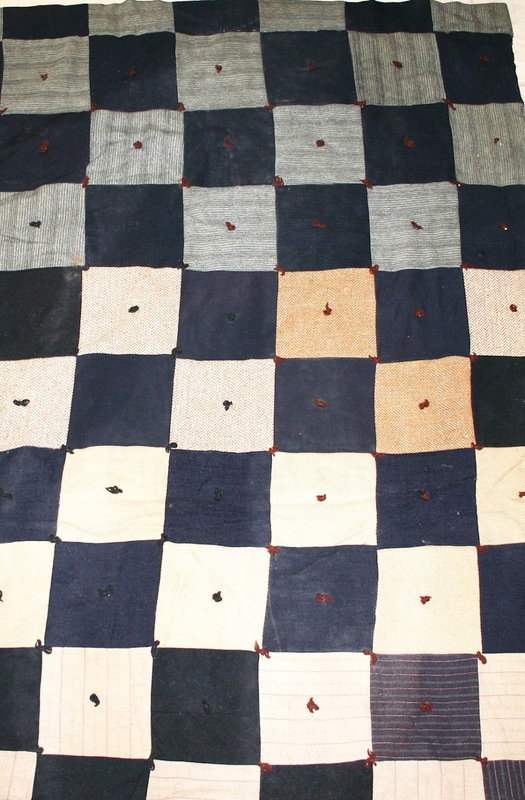 By the mid-19thC housewives were choosing floor cloths (oil cloths that they could paint in patterns) which were easy to clean and therefore useful in the kitchen, but lacked warmth. 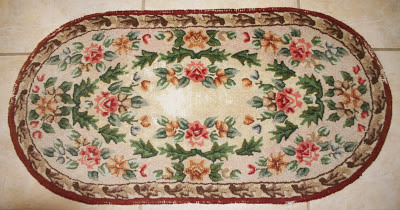 Other, small fabric rugs, were frequently sewn by the homemaker. 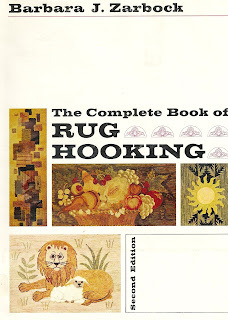 The most popular of these were hooked rugs with designs ranging from simple geometrics to the elaborate and complex. Due to the simplicity of the technique these rugs and mats remained popular throughout the 19th C and experienced a revival during the early 20th C.when rug-hooking classes were offered and women used these occasions for social gatherings( much like quilting bees). 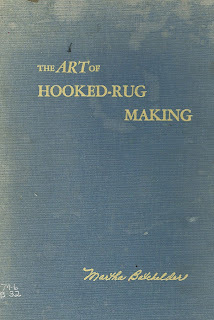 You can still find old books on rug hooking instruction. 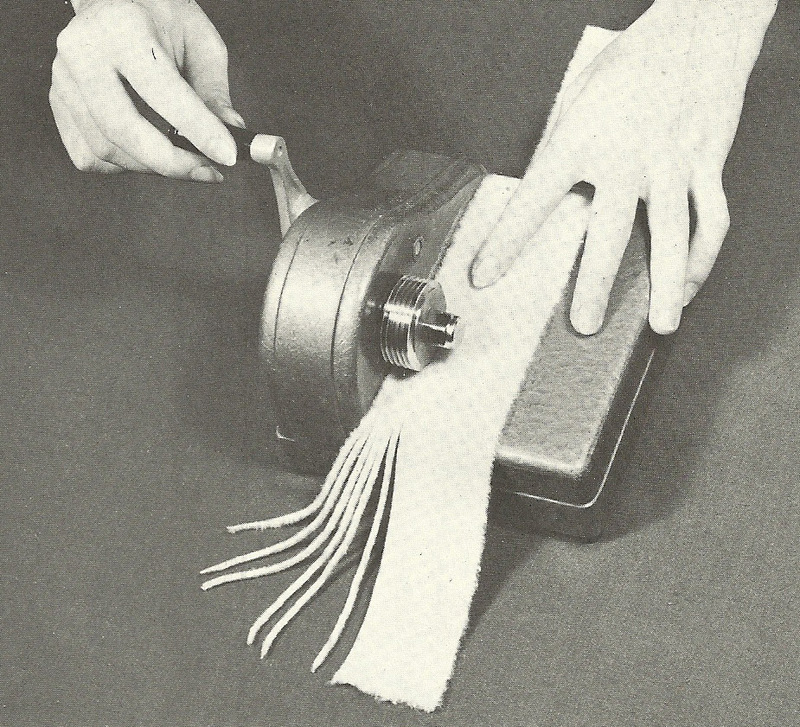 Strips of wool can be cut to the wanted width with mechanical strippers. 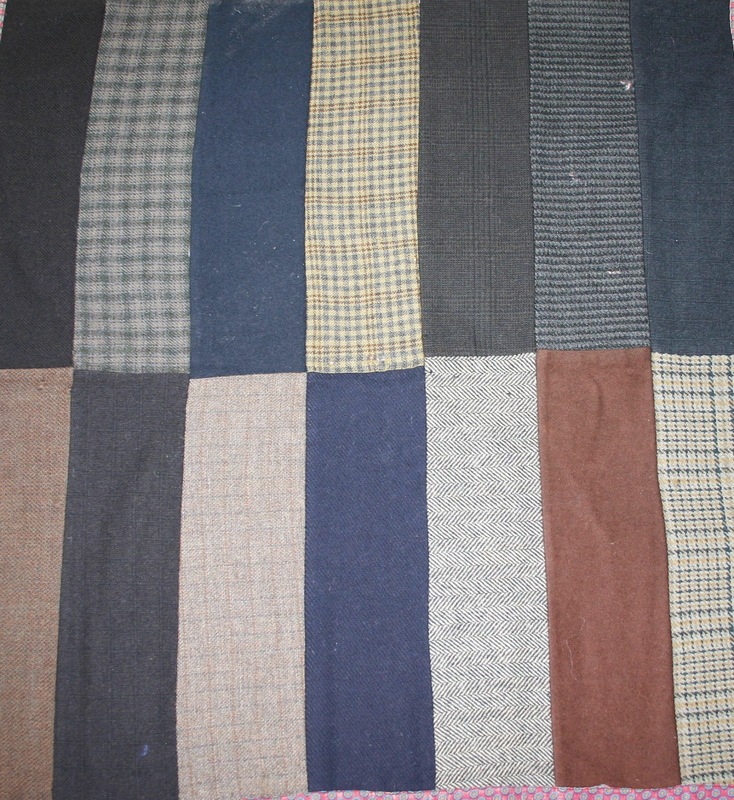 The wool strips used (probably firstly from scrap wool) were drawn from the back to the front of the ground fabric with a hook to form loops. 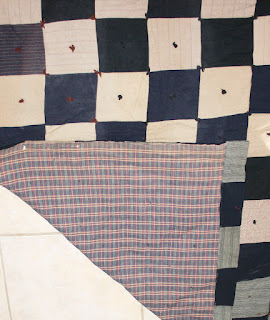 Properly done, the loops were of even height and the beginning and ending “tabs” of the strips were brought to the front of the rug (later they would be trimmed flush with the pile of the finished mat) thus insuring the row of loops would not be pulled out. 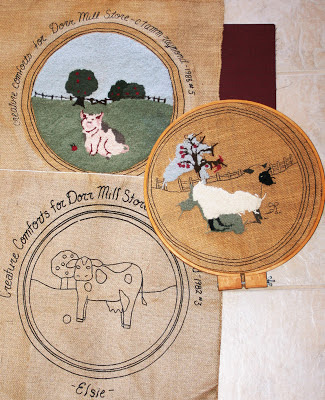 Most were hooked on loosely woven jute or burlap. To fill in large background areas, some used “speed hooks”. Speed hooks do what hand held hooks do, but in a different way. While hand hooks lift the yarn from the underside of the foundation cloth, forming loops on the top side, speed hooks pushes the yarn from the top side into loops on the under side. Therefore the finished surface is the under side. 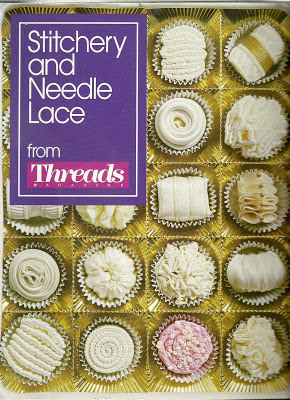 Susan Burr Needle (speed needle) could be used with strips of varying widths and could be adjusted to make loops of varying heights. 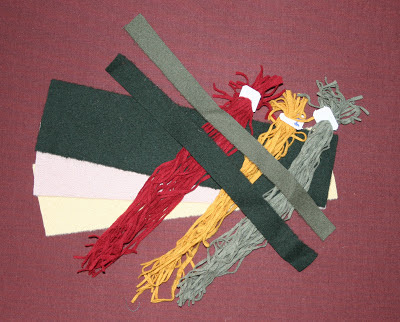 So-called “latch hooked rugs” are made with a tool that makes knotted rugs using cut pieces of yarn. 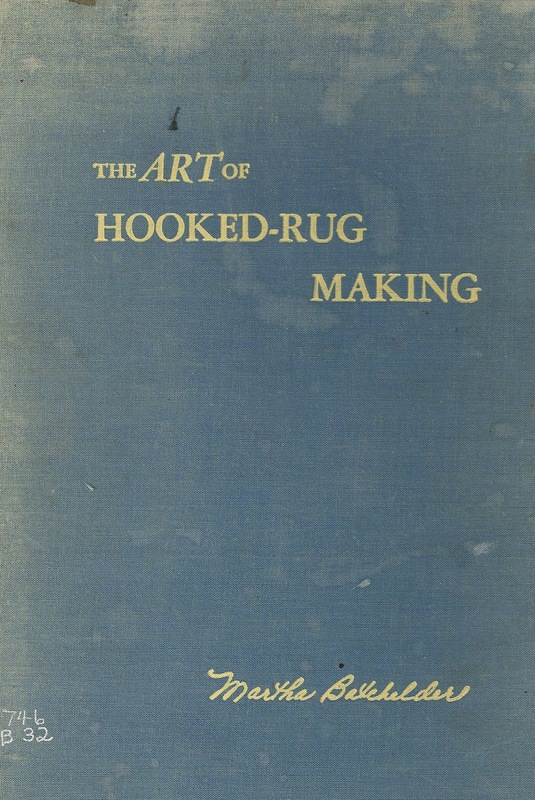 The rugs have a shag surface instead of the even surface of a hooked rug. 19th C rug. Note most vintage rugs show worn areas and fading. You can tell by looking at the reverse the original colors. 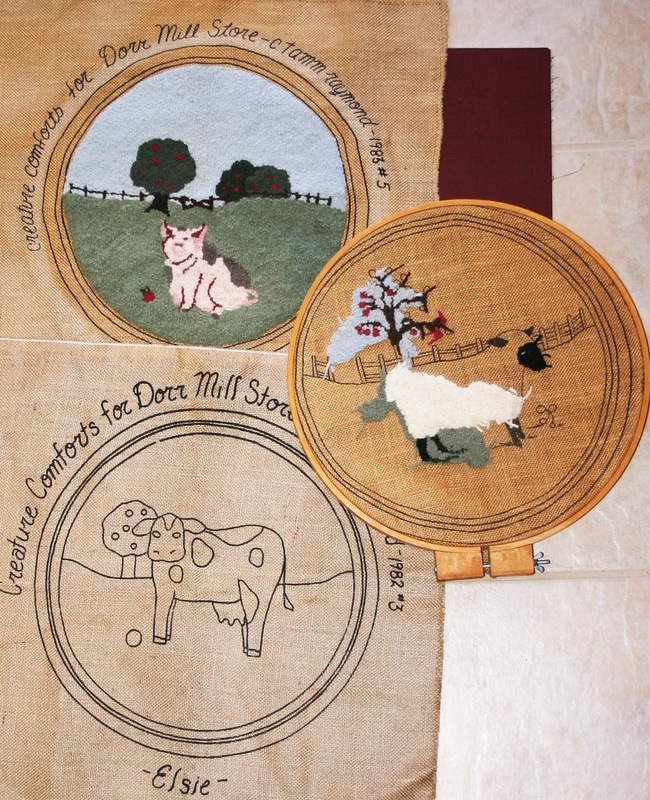 Kits for hooked rugs, mats and cushions are available. Think of a Valentine’s Day card: all lacey, beribboned and beaded. Those Victorians loved, loved, loved anything lavishly embellished. 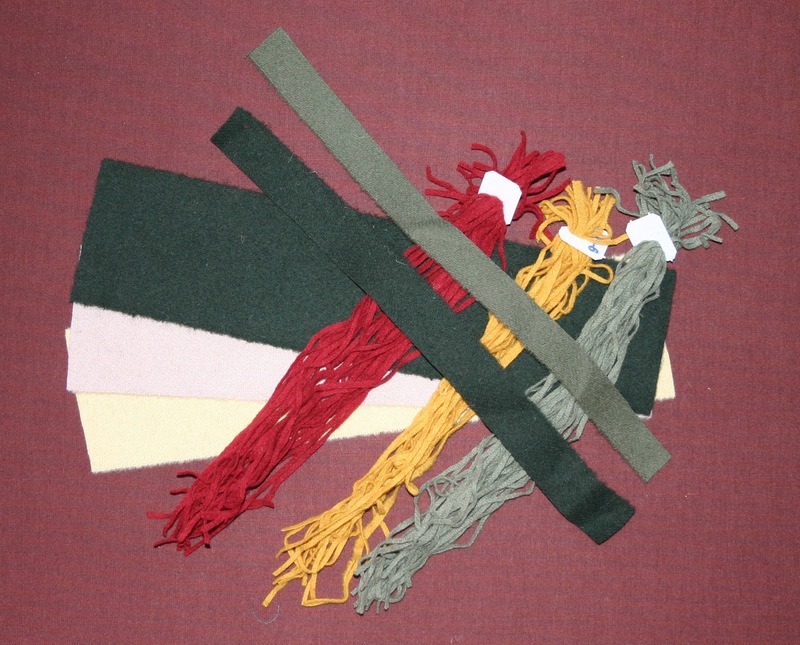 Actually, the French have a word for these trimmings: PASSEMENTERIE. 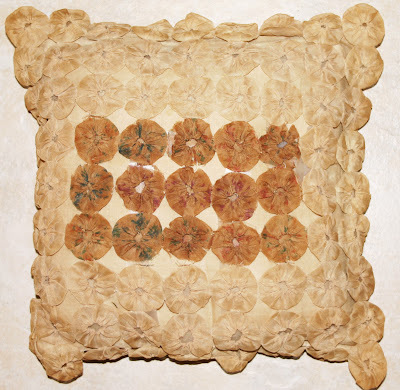 Since there is nothing I love more than a box of trim and lace scraps with a few buttons and beads thrown in (I could spend hours sorting and separating and imagining beautiful creations I would make) it should come as no surprise that I greatly admire fiber artist, Candace Kling. For more than 25 years Kling has created the most fanciful, lavish and imaginative fashion accessories from ribbon. A graduate of California College of Arts and Crafts, she had also studied at Parson’s School of Design and the San Francisco Art Institute. 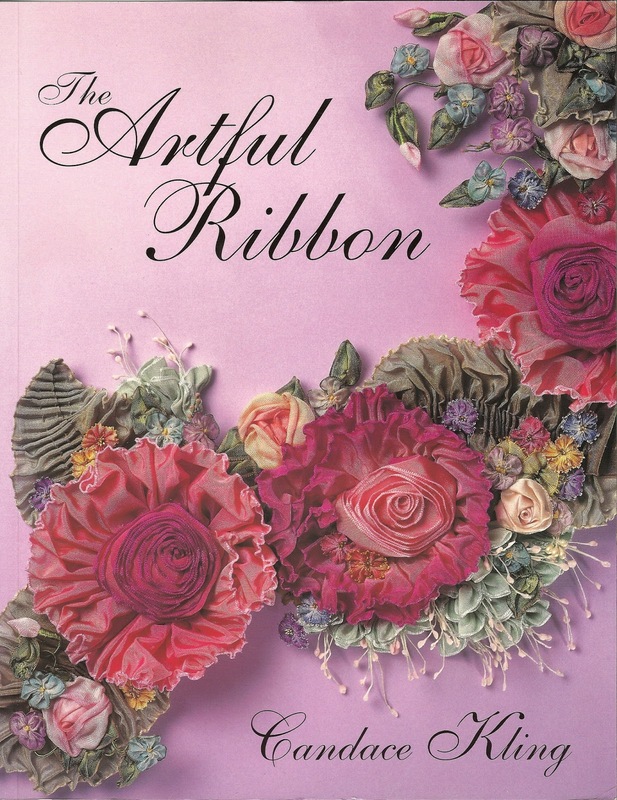 Her fascination with vintage ribbon creations has led to a well known career in ribbonwork, creating fantasy out of folded, runched, quilled and gathered ribbons. She does not rely solely on the 19thC creations and their techniques, but constantly reinvents her medium into what may be seen as sculpture. 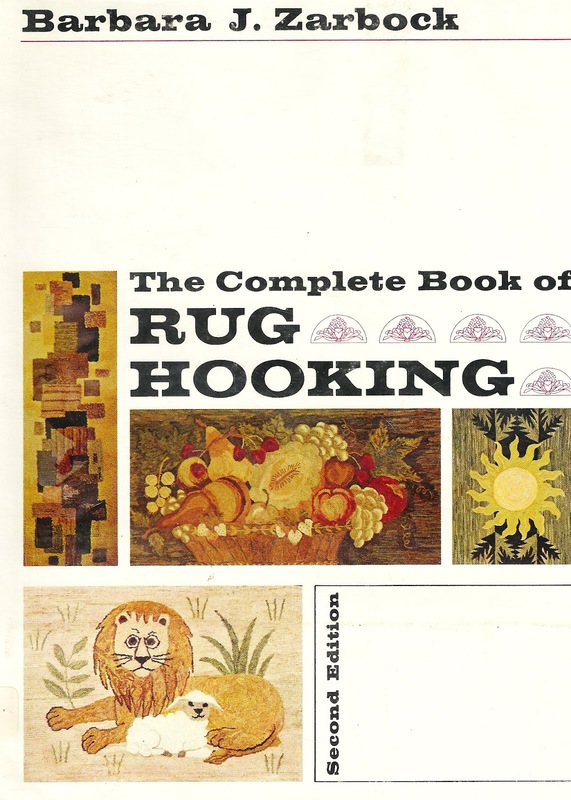 This is a very lovely instructional book on ribbonwork. The illustrations are easy to understand and follow. 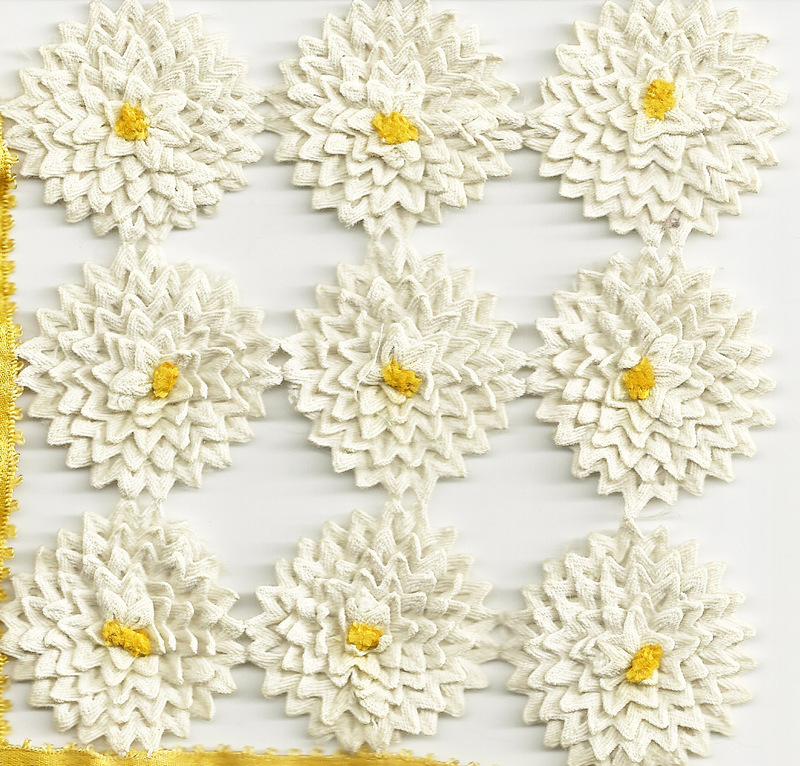 The photography is well done, glorious floral sprays adorn nearly every page. There are also historic references to those needleworkers working in ateliers who first produced these beautiful embellishments. Candace was featured in this volume from Threads Magazine. The cover shows her ribbon candy creations, while an article on her studio shows many of her fantastical headdresses. Here are some of my attempts at her needle style. 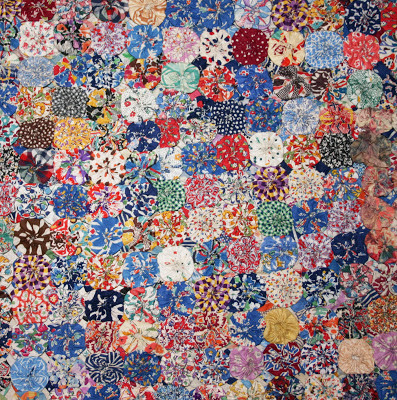 Quilters will be very familiar with yoyo quilts: small gathered circles of scrap fabric are sewn together to make a bedcovering. Not really a quilt by formal definition, there is no middle batting nor, usually, background fabric. 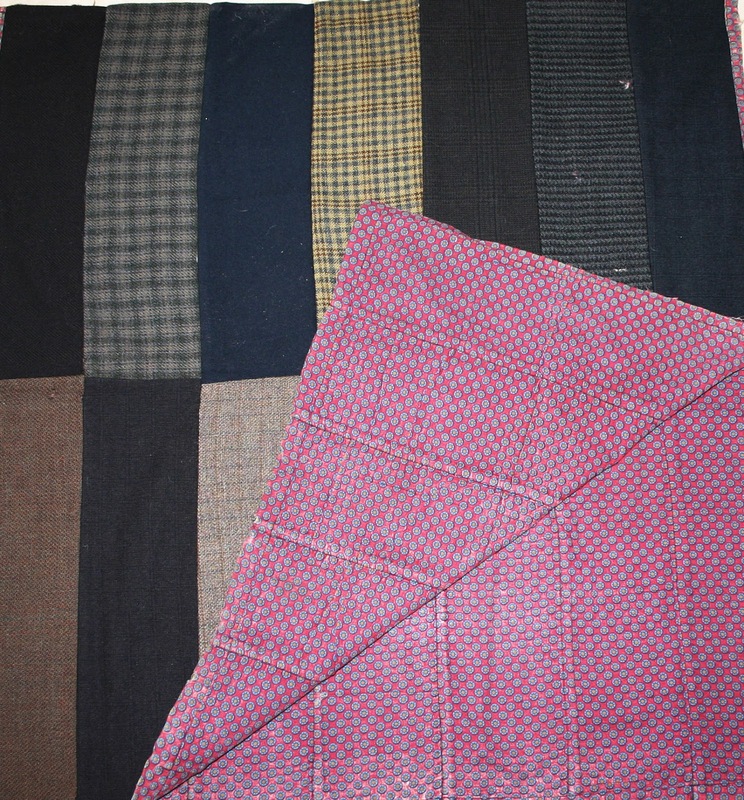 Also they are a bit unwieldy to be used as a bed quilt, more likely as an accent piece at the foot of the bed or over a piece of furniture. 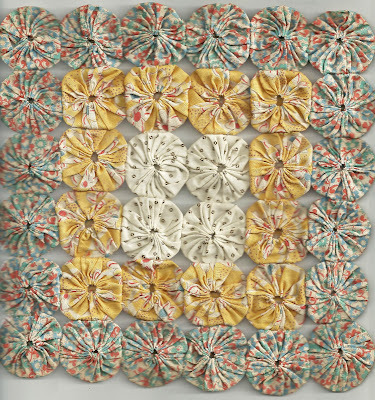 The origin of the yoyo blossom (for they were meant to resemble rosettes) well precedes 1930 scrap quilts. 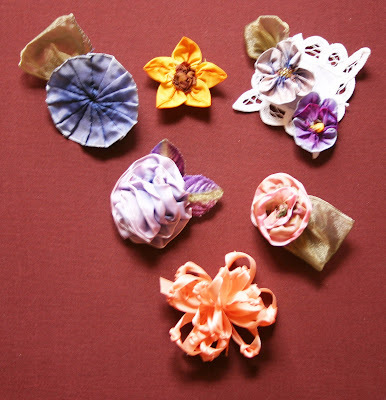 In the mid 1800’s women made these small circular fabric embellishments for lingerie trim or other lace replacements. They often adorned small pillows or were used as floral fillers for appliquéd basket patterns. 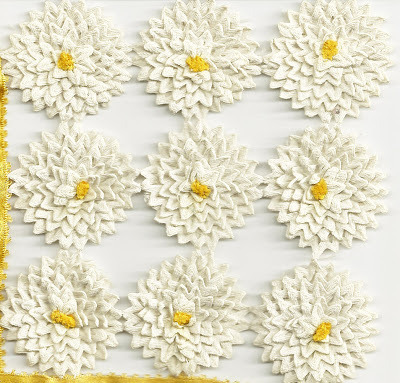 Also at this time women used manufactured rickrack, called Vandyke Braid (also called waved braid), to produce a daisy-like flower and often embroidered a yellow center. 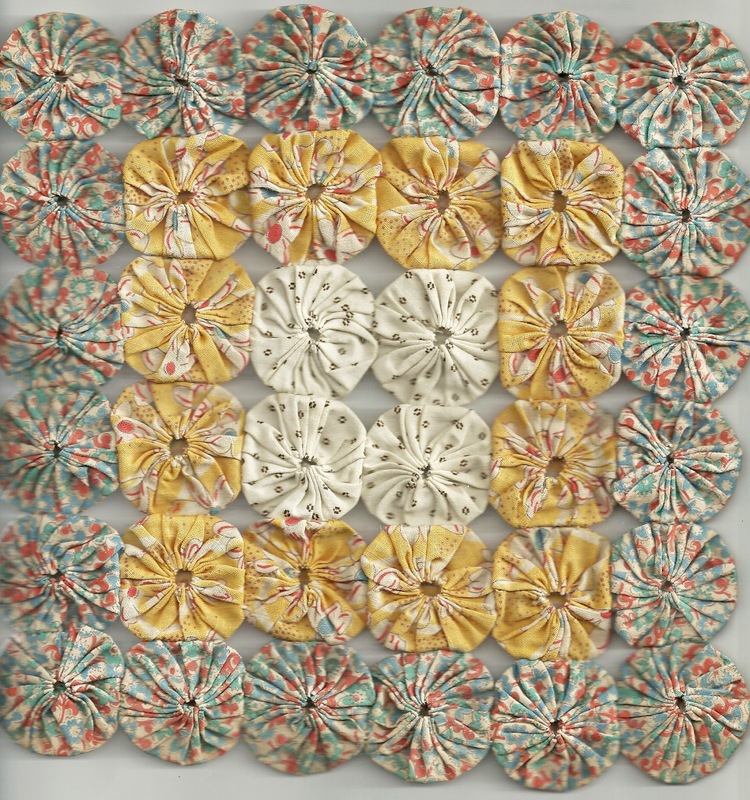 This 19thC pillow was made of organdy with blossom yoyos. Organdy is a sheer, lightweight, plain weave cotton fabric. It is given a crisp, permanent finish. 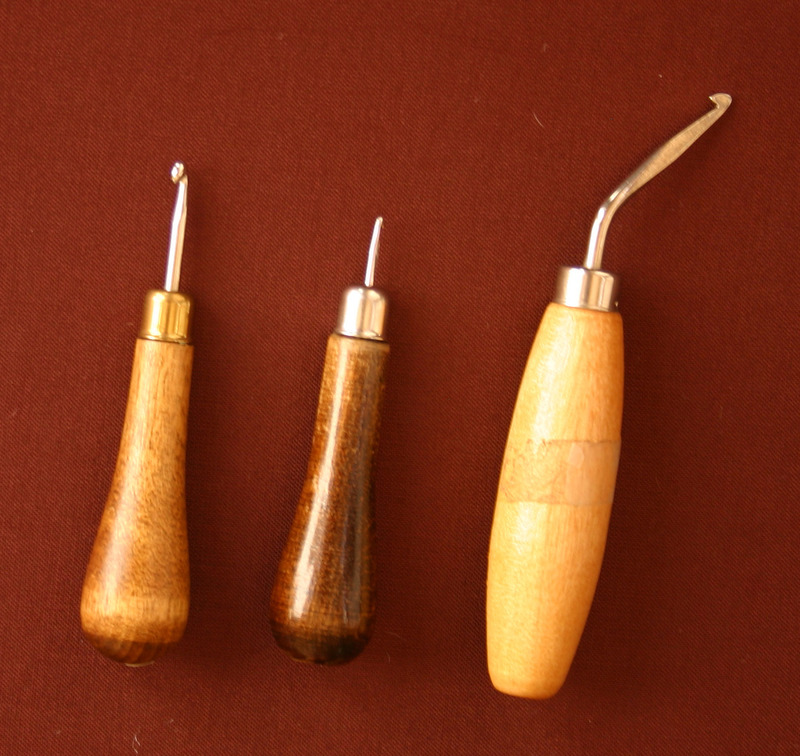 Originally developed in Switzerland for the Heberlein Co. 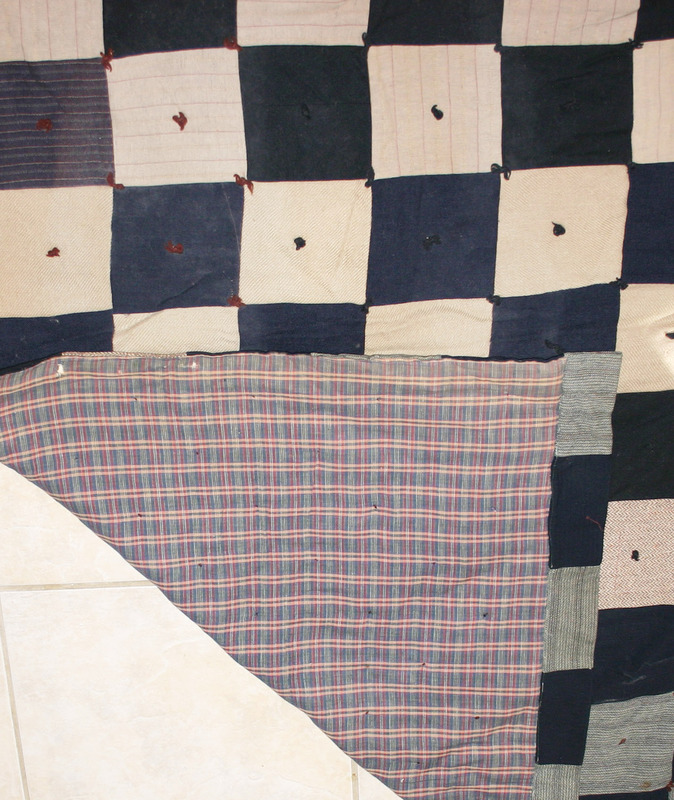 This is a small yoyo mat, 4 ½ inches square, early 20th C.
A 1930’s yoyo quilt, 96x93 inches, with 1½ inch yoyos. 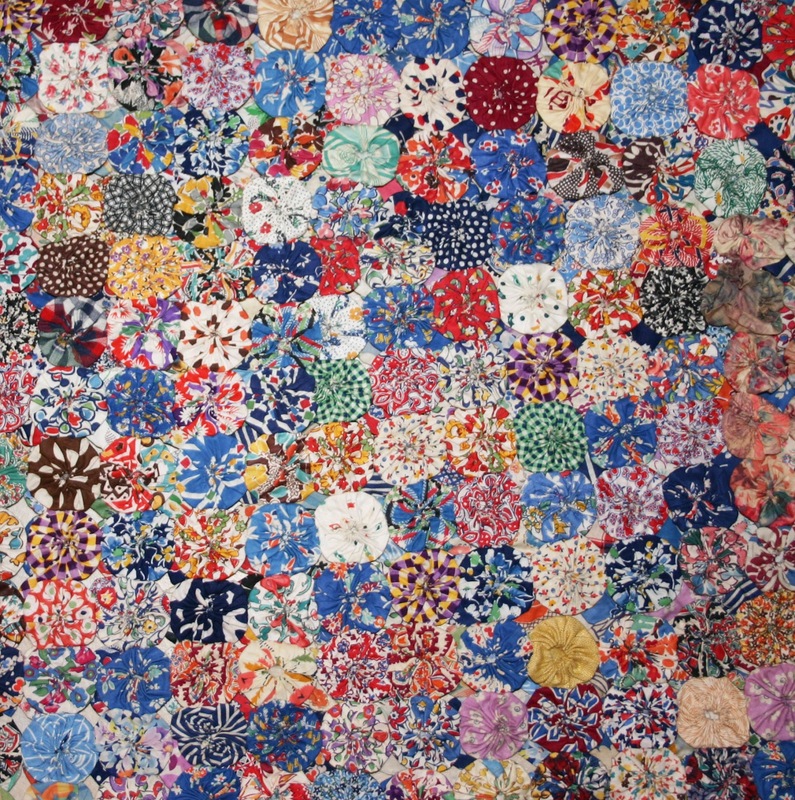 There are approximately 4000 pieces of fabric blossoms, making this a fabulous study of early 20thC fabrics. This is also the first high-quality vintage quilt I had purchased. Today there is a resurgence of this small flower. Craft and fabric shops feature yoyos as trims, hair accessories and other projects. 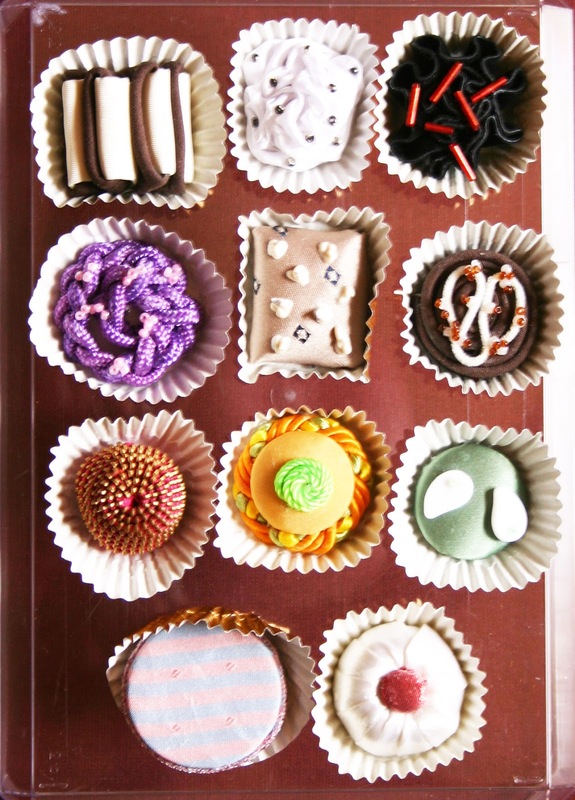 You can buy pre-made yoyos, yoyo kits,or make them yourself, as they are a simple construction. 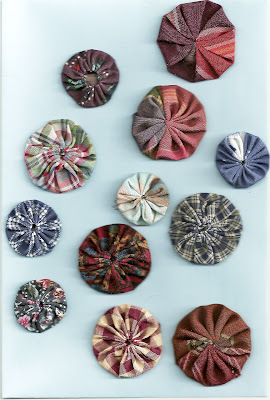 Simply use a round stiff circle for a template and stitch the cut circular fabric around the circumference, drawing the stitching tight to make a circle which is pleated on the front and flat on the reverse.